The wire recorder was patented by Marvin Camras. 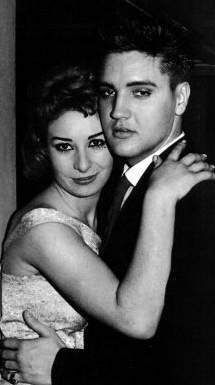 Elvis and June Juanico in Houston: When Elvis and June were having breakfast at a restaurant on South Main Street, Elvis got himself surrounded by a lot of girls. He told a reporter he was engaged to only one: his career. “High School Confidential,” starring Russ Tamblyn, Jan Sterling, John Drew Barrymore, Diane Jergens, Mamie Van Doren, Ray Anthony, Michael Landon, and featuring Jerry Lee Lewis performing the title song, opened in U.S. and Canadian movie theaters. Ed Sullivan phones Colonel Tom Parker and says he wants Elvis to make a fourth appearance on his show as soon as he is discharged from the Army. Unfortunately for Sullivan, Elvis would never return to his program as The Colonel chose to book his client on Frank Sinatra’s variety show on May 12th, 1960 for a then unheard of fee of $125,000. Military Service in Germany / At the beginning of a 15 day furlough Elvis traveled to Munich and later Paris with Lamar, Rex and Charlie Hodge. U.S. Army Pvt. Elvis Presley received a 15-day furlough and used it to travel from his post in Germany to Paris. While there, he and his entourage stayed in a suite at the Prince De Galles Hotel on the Champs Elysees and made frequent visits to the Moulin Rouge and the Lido club. The Beatles performed another two shows at Centennial Hall, Adelaide, South Australia. For the four shows that The Beatles performed in Adelaide there were 12,000 tickets, for which 50,000 requests had been placed. The two shows on this day were drummer’s Jimmy Nicol’s last as a “temporary Beatle”. Ringo Starr (who had been ill), re-joined The Beatles in Melbourne the next day. Elvis Presley’s cover of Ray Charles 1959 hit “What’d I Say” hit #21 in the U.S. 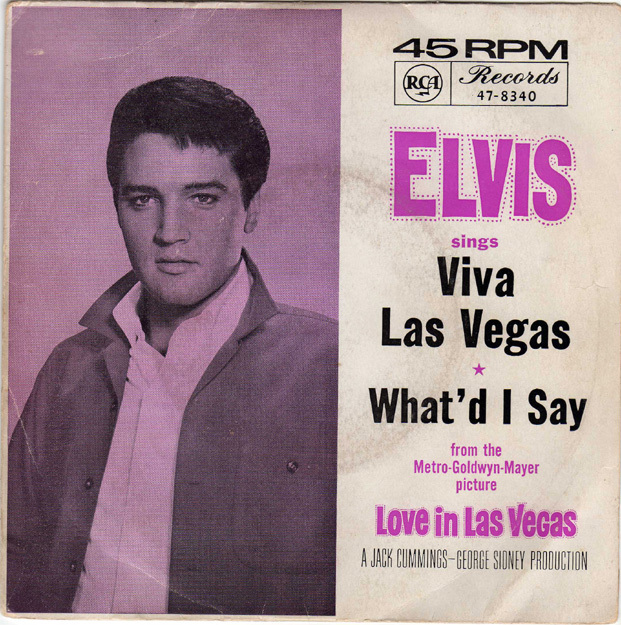 The b-side “Viva Las Vegas” hit #29 in the U.S. reached #12 on the UK Singles Chart, improving to #15 after a reissue in 2007. and it was certified Gold Award issued on March 27, 1992. Tom Jones, Dee Dee Sharp and the Seekers sang on CBS-TV’s “The Ed Sullivan Show.” Sid Caesar, London Lee and Marty Allen & Steve Rossi also performed on the program. The Bee Gees appear on the UK TV show As You Like It, where they perform their new single “New York Mining Disaster 1941”. Originally titled “Have You Seen My Wife, Mr. Jones”, the song would go on to reach #12 in the UK and #14 in the US. Priscilla’s pregnancy is announced. The group stayed over two nights in Flagstaff, Arizona, while visiting the Grand Canyon. 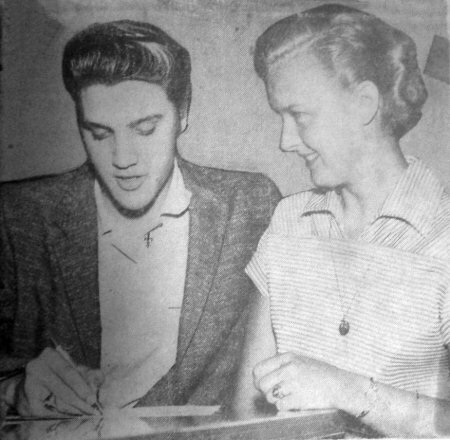 Elvis continued with the rehearsals at Binder-Howe Productions office throughout the week and the weekend. Trumpeted as the biggest-ever soul music festival to date, Sam & Dave, Aretha Franklin, Ray Charles, Percy Sledge, the Staple Singers, Reverend James Cleveland, Johnny “Guitar” Watson, Sister Clara Ward, and more performed at Soul Bowl ’69 at the Astrodome in Houston, Texas. The Rolling Stones held a press conference and photo-op in Hyde Park to introduce new guitarist Mick Taylor. Elvis flew down to Palm Springs for the weekend. The Beatles started a two week run at No.1 on the US singles chart with ‘The Long And Winding Road’, the group’s 20th US No.1. The album ‘Let It Be’ started a four-week run at No.1 the US album chart on the same day. The 12th and final studio album by The Beatles, was recorded in January 1969, before the recording and release of Abbey Road. Mungo Jerry, a British band with an unusual name and a unique sound, had the top tune in the UK with “In The Summertime”. It went on to become the best selling UK single of the year, spending seven weeks at #1 and was a hit in 26 other countries including the US, where it would rise to #3 in mid-August. The Drifters’ original lead singer, Clyde McPhatter died. 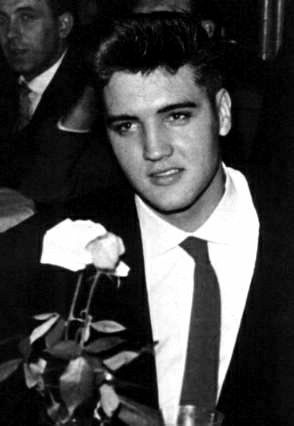 He was considered by many as one of rock ‘n’ roll’s greatest voices and Elvis Presley was one of his biggest fans. Joined Billy Ward & the Dominoes in 1950, formed The Drifters in 1953, had several solo hits including 1962 ‘Lover Please,’ was posthumously inducted into the Rock and Roll Hall of Fame in 1987. 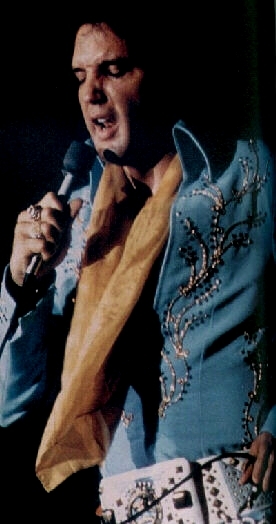 Elvis performed at the Roberts Municipal Coliseum, Evansville, Indiana. At RCA Studio B in Nashville, Dolly Parton recorded her composition “I Will Always Love You,” inspired by her professional partner and mentor Porter Wagoner, whom she was leaving at the time in order to begin a solo career. Elvis flew into Memphis before taking off on his third tour of 1974. John Lennon made his last ever TV appearance when he appeared on ‘Salute To Sir Lew Grade’, performing ‘Slippin And Slidin’, and ‘Imagine’. The performance was recorded at the Waldorf Astoria Hotel on April 18, 1975. Peter Frampton played the first of two nights at the Winterland Ballroom, San Francisco, California. Recordings from these two shows were used as part of his No.1 double album ‘Frampton Comes Alive’. It became the best-selling album of 1976, selling over 6 million copies in the US and Frampton Comes Alive! was voted “Album of the year” in the 1976 Rolling Stone readers poll. It stayed on the chart for 97 weeks. Three days after escaping prison, the convicted assassin of the Rev. Dr. Martin Luther King, Jr., James Earl Ray, was recaptured. Elvis called President Jimmy Carter to try to help out his friend George Klein in a federal court case. 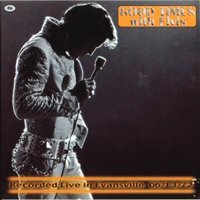 President Carter returned the phone call, but could not understand anything Elvis said. The movie version of “Grease,” starring John Travolta, Olivia Newton-John, Stockard Channing, and Jeff Conaway, had its world premiere in New York City. “Roadie,” starring Meat Loaf, Art Carney and Kaki Hunter, with Roy Orbison, Hank Williams, Jr., Alice Cooper, Merle Kilgore, Blondie, Ramblin’ Jack Elliott, Peter Frampton, and Don Cornelius, opened in U.S. and Canadian movie theaters. Whitney Houston started a six-week run at No.1 on the UK album chart with her second LP Whitney. With this album, Houston set various records on the US charts. Houston became female artist, to debut at No.1 with an album and its first four singles, ‘I Wanna Dance with Somebody (Who Loves Me)’, ‘Didn’t We Almost Have It All’, ‘So Emotional’ and ‘Where Do Broken Hearts Go’, all peaked at No.1 on the Billboard Hot 100 chart, making her the first female artist to achieve that feat. The biggest charity Rock concert since Live Aid three years earlier took place at London’s Wembley Stadium to denounce South African apartheid. Among the performers were Sting, Stevie Wonder, Bryan Adams, George Michael, Whitney Houston and Dire Straits. Half of the more than $3 million US in proceeds from the event went towards anti-apartheid activities in Britain. The rest was donated to children’s charities in southern Africa. Jerry Lee Lewis gets a star on the Hollywood Walk of Fame at 6631 Hollywood Blvd. Law enforcement officials in Texas call for a ban on Ice-T’s “Cop Killer” LP. Following the publicity, sales double on the West Coast and in Texas. In an ironic twist, Ice-T (real name: Tracy Morrow) would land a role on the TV police drama, Law and Order in 1999, portraying Odafin “Fin” Tutuola, a former undercover narcotics officer transferred to the Special Victims Unit. Alanis Morissette released her studio album, Jagged Little Pill. The album went on to sell over 30 million copies world-wide, and made Morissette the first female Canadian to score a US No.1 album. ‘Jagged Little Pill’ featured the massive hits, ‘You Oughta Know’, ‘Hand in My Pocket’, ‘Ironic’, and ‘You Learn’. 37-year-old Susan E Santodonato collapsed and died of a heart attack outside New York radio station Star 105.7. after a Britney Spears impersonator left the building. A crowd had gathered after a DJ claimed Britney Spears was in the studio. Michael Jackson, Barry Manilow, Sting, Nickolas Ashford and Valerie Simpson were honored by the Songwriters Hall of Fame in New York. Michael Jackson was cleared of all charges of child abuse by a jury of eight women and four men at the end of a 16-week hearing in Santa Maria, California. Jackson was found not guilty of all 10 charges including abusing a 13-year-old boy, conspiracy to kidnap and supplying alcohol to a minor to assist with a felony. Three of the original Beach Boys, Brian Wilson, Mike Love and Al Jardine, along with Bruce Johnston, who joined the touring lineup in 1965, gathered at the Capitol Records office tower for the presentation of double-platinum plaques marking US shipments of more than 2 million copies of the band’s 2003 collection, “Sounds of Summer: The Very Best of the Beach Boys”. Widely hailed by critics as one of the best albums in Paul McCartney’s solo career, “Memory Almost Full” sold 160,541 copies across all retail outlets in the US in its debut week, landing the record at #3 on Billboard Hot 200 chart. Stevie Wonder was inducted into the Hall of Fame at New York’s Apollo Theater, the same venue where he began his professional career as a 12-year-old in 1962. The Beach Boys‘ first album of all-new material since 1992, “That’s Why God Made the Radio”, raced up the Billboard 200 chart to number 3. Their span of Billboard Top Ten LPs stretched to 49 years and one week since they first graced the chart with “Surfin’ U.S.A.” the week of June 15, 1963. Paul Simon continued his summer tour with a show at Jacobs Pavilion at Nautica in Cleveland. This entry was posted in 1970s, Concert, Costumes and Stage Wear, Elvis Presley, Elvis Romance, Memphis Mafia, Metro Goldwyn Mayer (MGM), Presley Picture, Presley Platter, RCA release, Vacation and tagged 'Colonel' Tom Parker, Beach Boys, Chips Moman, Clyde McPhatter, Dolores Hart, Ed Sullivan, Elvis in Munich, Elvis in Paris, Frank Sinatra, Frankie and Johnny, George Klein, Gi Blues, Girl Happy, Girls! Girls! Girls!, Grease, High School Confidential, Jailhouse Rock, Jimmy Dean, John Travolta, June Juanico, Lamar Fike, Lincoln Wayne "Chips" Moman, Moulin Rouge, Olivia Newton-John, President Jimmy Carter, Ray Charles, Red West, The Beatles, The Drifters, The Rolling Stones, Whitney Houston. Bookmark the permalink.